TESCO Express is located in a good place at 29-31 Ridgway Road, 0.83 miles south of the centre of Farnham (near to The Bourne Club and Highfield South Farnham School). The store is perfectly located to serve people from the locales of Rowledge, Wrecclesham, Cox Bridge, Gong Hill, Shepherd And Flock Roundabout, Lower Bourne, Farnham Town Centre and St James Court. Today (Friday), open hours begin at 6:00 am and continue until 10:00 pm. 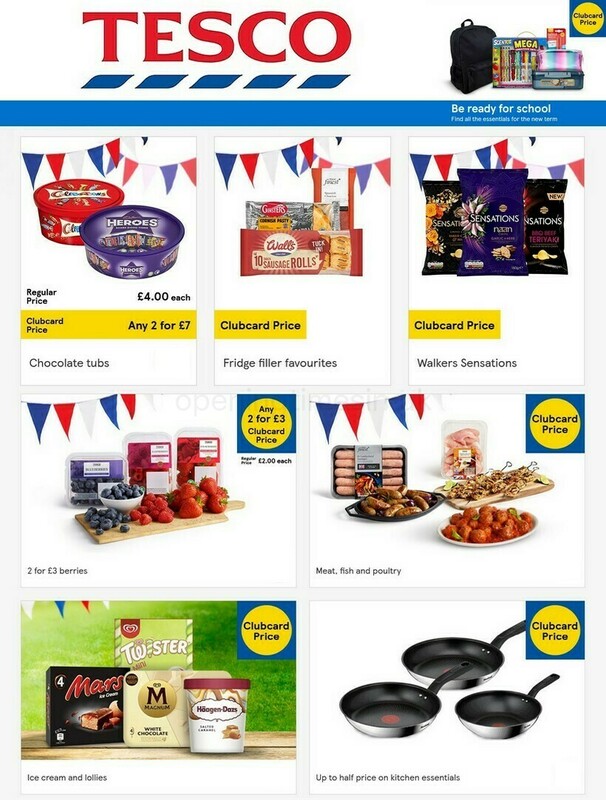 Please note the various sections on this page for specifics on TESCO Farnham, Ridgway Road, including the hours of business, address details, email contact and other information. You'll find TESCO Express easily accessible near the crossroads of Edward Road and Ridgway Road, in Farnham, Surrey. Merely a 1 minute drive from Frensham Road, St. Johns Road, Shortheath Road or Weydon Hill Road; a 5 minute drive from Firgrove Hill, A31 / Alton Road and Farnham By-Pass; or a 12 minute trip from A31 / Guildford Road and A31 / Farnham Road Hog's Back. If you're using Satellite Navigation systems the postcode is GU9 8NN. You can catch the buses to Post Office, Ridgeway Road, Sheep House and Langham Recreation Ground. If you're coming by train, you'll be dropped at Farnham Station (3870 ft away). You can use line: South West Trains. In the neighbourhood you might come across Langhams Recreation Ground, The Falkner Arch And Victoria Garden, Farnham Business Park, Farnham Town Football Club, Brightwells Gardens, Farnham Leisure Centre, Gostrey Meadow, Middle Bourne Community Garden and Bourne Green. Including this store, TESCO now owns 2 locations in Farnham, Surrey. For an entire listing of TESCO stores near Farnham, go to the following link. TESCO in Farnham, Ridgway Road may alter hours of operation over UK public holidays. In the year of 2019 the aforementioned exceptions consist of Christmas Day, Boxing Day, Easter or Spring Bank Holiday. Have a look at the official site when planning your trip to TESCO Farnham, Ridgway Road, or call the direct service number at 0800 50 5555 for more information about the holiday business hours. Our store has automatic doors fitted. An induction loop has been installed in our store. Facilities are available for people with hearing impairments. Facilities are available for people with mobility impairment. Non assisted wheelchair access is possible. Wheelchair assistance is possible in our store. Assistance dogs are welcome in our store. Facilities are available for people who are visually impaired. Including large print and braille. Help Opening Times in the UK keep the information as accurate as possible. Should you find mistakes in the street address or working times for TESCO in Farnham, Ridgway Road, please utilize this form to report a problem. Please submit your opinions of TESCO by writing your feedback in the box below. You can also rate the supermarket by using the star rating scale.